Another reason we found that June was a very popular month to get married in the past, before indoor plumbing, was because people used to only bathe once a year! Baths took place in May once the weather began warming up after a season of wearing heavy winter clothing. Those getting married were anxious to do it in June because they still smelled fresher than they would the rest of the year! All of the wonderful aromatic flowers blooming that time of year also helped to mask unwanted body odors. One more reason that June weddings were convenient in the past is due to the planting schedule of farmers. Many families relied on the crops for their livelihood. A June wedding made it more likely that a post-wedding pregnancy wouldn't get in the way of the wife helping with the year's harvest. The pregnancy would be early enough in the fall that she could help with planting, and a spring birth meant that she would be recovered and ready to help again when is was time to harvest the new crops. There's a famous line from the 1954 musical, Seven Brides For Seven Brothers, that goes, "Oh, they say when you marry in June, you're a bride all your life; and the bridegroom who marries in June gets a sweetheart for a wife." That makes it sound intriguing, don't you think? If a June wedding is in your future (or any other month, for that matter,) we've got everything that you'll need to throw a beautiful one in our online wedding accessory store. From the pre-wedding parties, like bridal showers and bachelorette parties, to the ceremony and reception, and even well into your married life after the wedding, WhereBridesGo.com has a little bit of everything for your happy life together. We carry DIY invitation kits that you can design yourself or use our templates and print at home. You'll also find all of the wedding decorations online to make your wedding theme come to life at the ceremony and reception. Our wedding cake toppers come in a variety of styles to fit the personalities of every bride and groom, and many can be personalized. 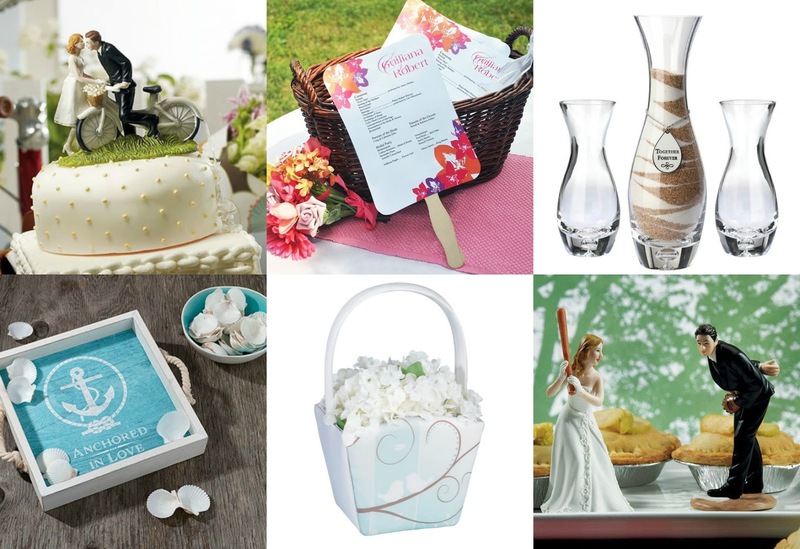 There are gifts for everyone in your wedding party, and even some fun items to take along with you on the honeymoon. Take a few moments to browse through the pages at WhereBridesGo.com and discover everything we offer to make your wedding the one you've dreamed about. After all, we're Where Brides Go... for What Brides Love!